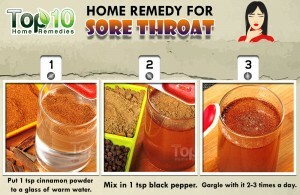 Add one teaspoon each of cinnamon powder and black pepper powder to a glass of warm water. You may also add cardamom. 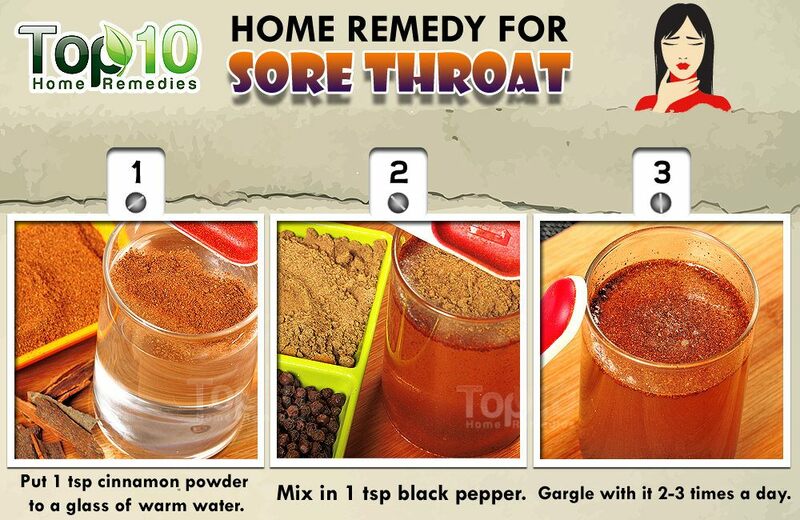 Strain the solution and gargle with it two to three times a day. 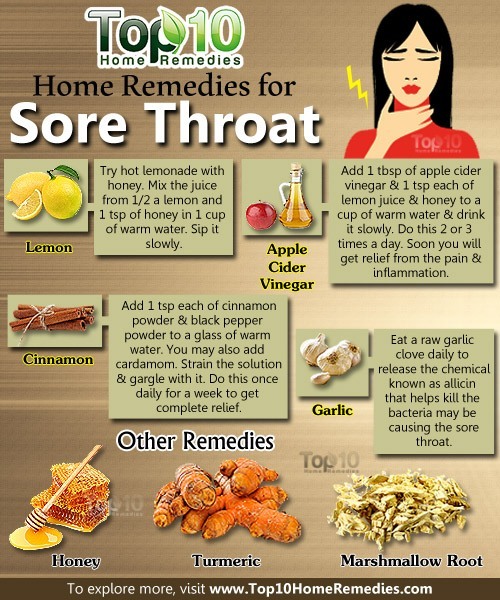 Eat a raw garlic clove daily to release the chemical known as allicin that helps kill the bacteria may be causing the sore throat.